I downloaded the ROM file from a dubious site and patched it with “famirom”. I won’t go into detail how to do this, since it’s covered by about a thousand tutorials before 😉 One pretty neat feature of famirom is the splitting of the PRG- und CHR-part of the ROM. They’re about 20€ each. Not that cheap – but hey, the hack is worth it! 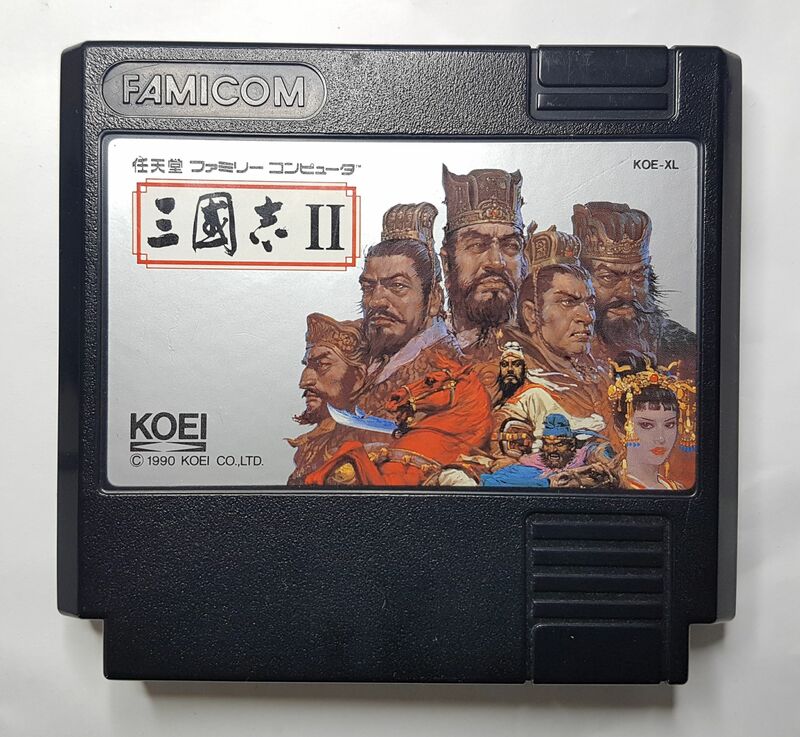 Do you hate bulging and cracking famicom cartridges? Yeah, me too. 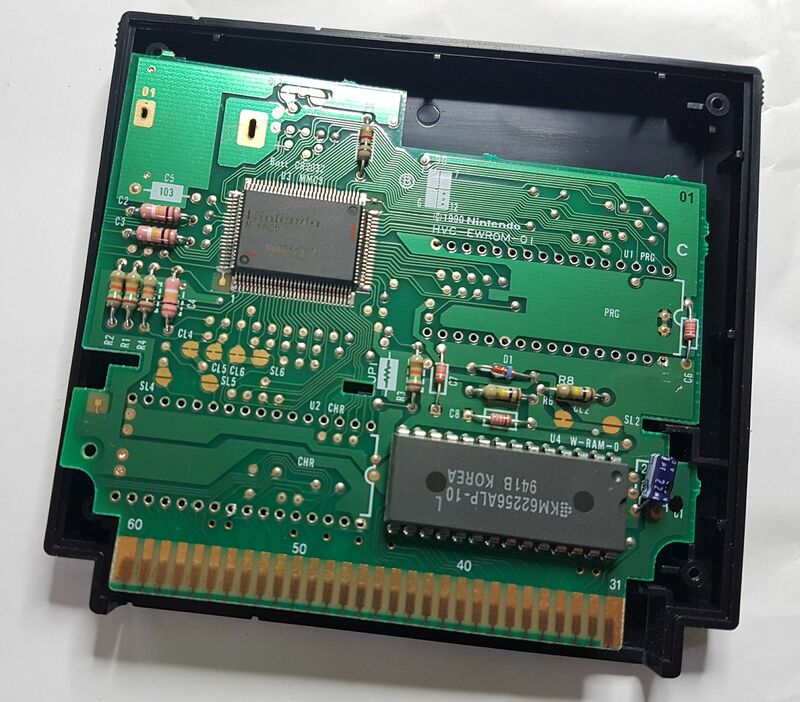 But no worries, these cartridges are held together by four screws (3.5mm gamebit). So they’re easy to pop open. Next step: Localize the PRG- and CHR-MASKROMs and desolder them. The battery was flat so I desoldered it, too. Bummer, fitting (1MB) EPROMs are expensive, 15€ a pop! So I went looking for an alternative and stumbled upon the 29F080. Since the 29F080 got a TSOP40 package I’d to make an adapter. 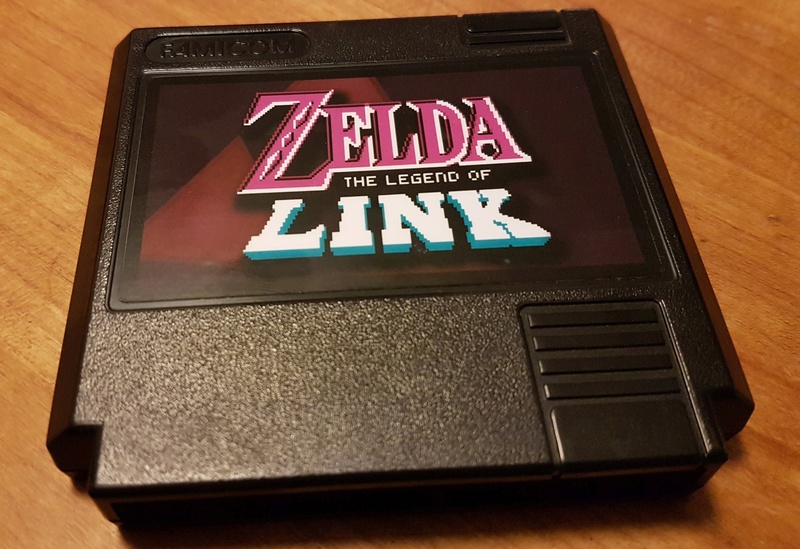 If you are planning to do this repro you can fetch the adapter here: Click! The adapter does the rewiring. 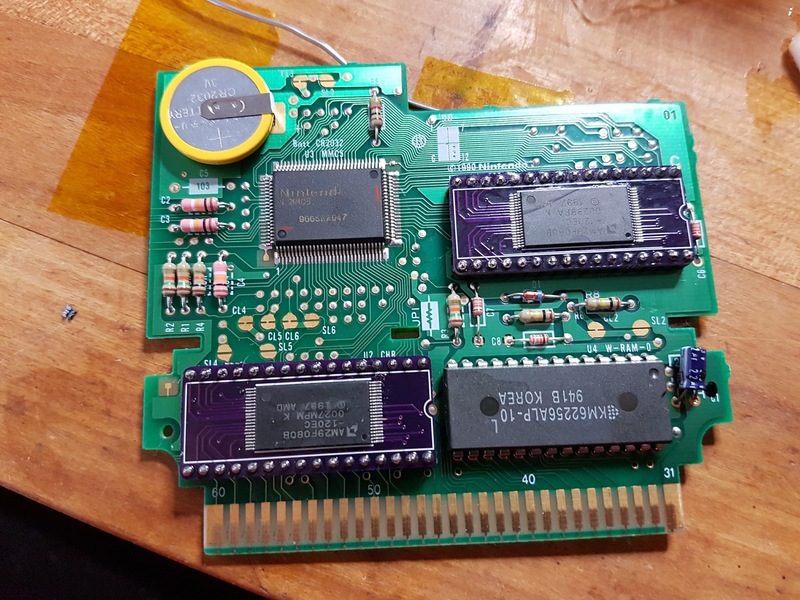 So I’d to solder the 29F080 to it and solder the adapter 1:1 to the donor. This is my trsuty TL866CD-Programmer with a TSOP40 8bit-Adapter. Next step is soldering the two adapters and a new battery to the donor. 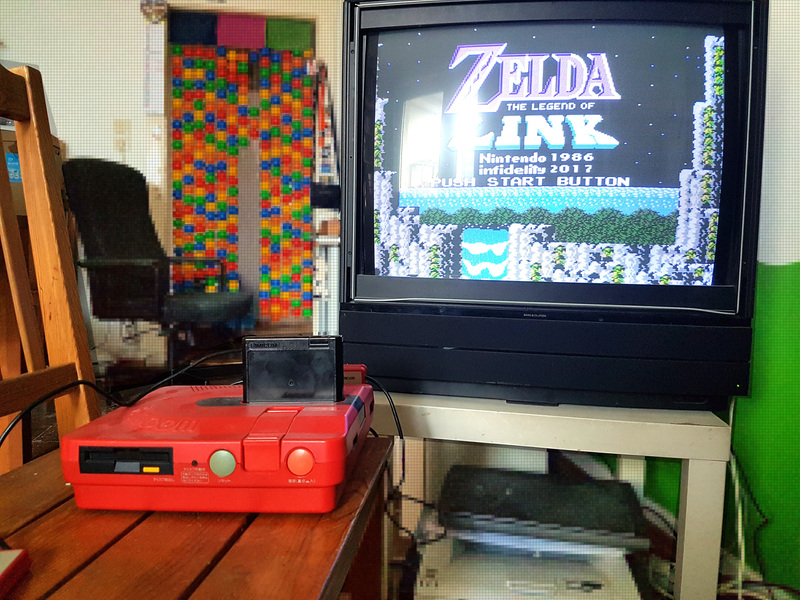 Close the cartridge shell, jam the game into your console and enjoy the game. It’s awesome. Step 6 – Print a label! To finish the repro a label is a must. I just had an image file printed and stuck it to the cartridge. You can download the label image right here! How do you solder the adapters? It doesn’t look like they have pins. Also, do you solder the chips onto the adapters, or do they just fit on top of them? 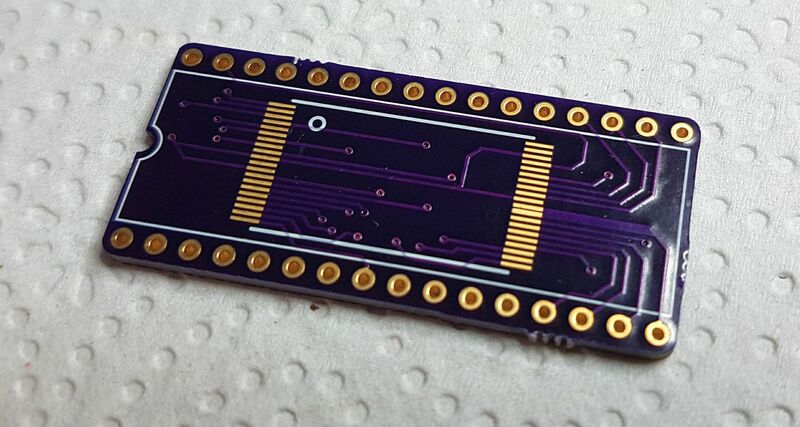 After that, I solder the adapter onto the pcb. can you program the chip one it is soldered to the adapter board? 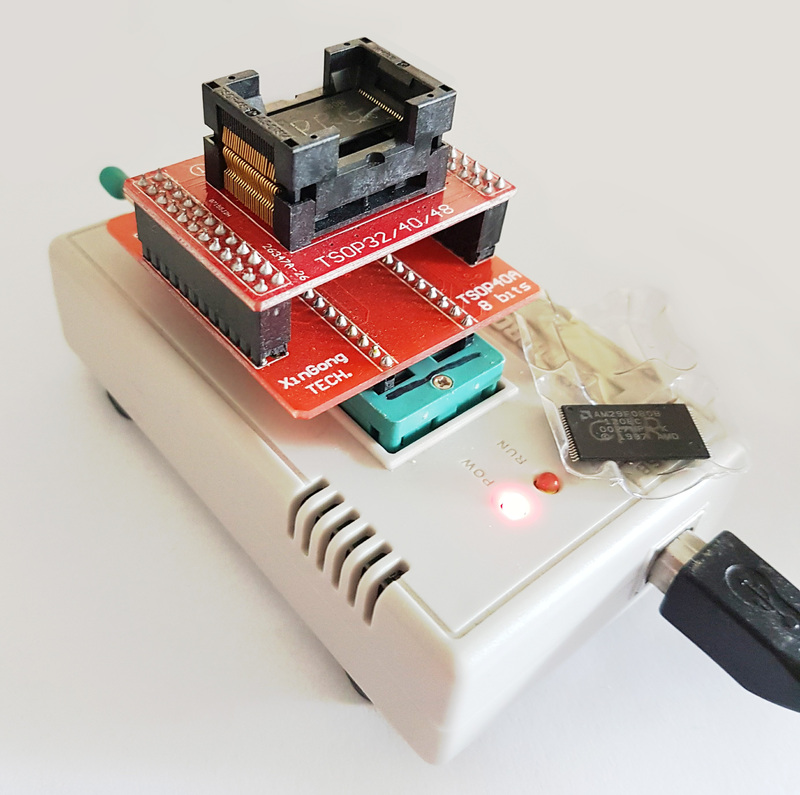 You actually could by having an adapter between the programmer and the eprom adapter itself.